When I read about this it reminded me of those annoying ads about eating/not eating this one food (three foods) and magically losing weight. There was an actual study in The American Journal of Clinical Nutrition that found that a portion of 130 g of pulses every day helped people who don’t get protein from meat and fish or dairy (vegans?) lose weight throughout the 6 weeks of the duration of the study. 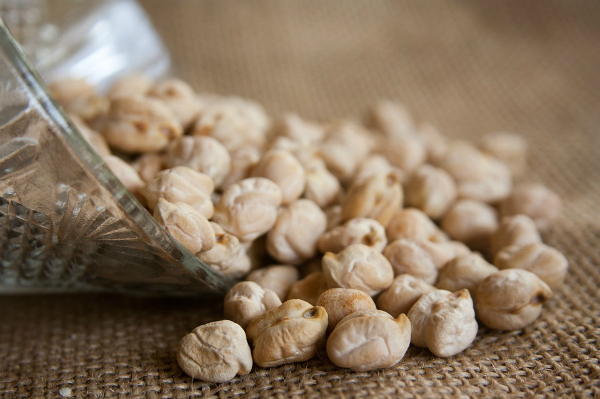 Rich in nutrients, fiber and protein pulses have a low fat content that makes them ideal for snacking. The meta-analysis found that not only the subjects that consumed pulses lost over half a pound of weight, they also didn’t make any major changes to their diets. Thanks to filling properties (by 31% as the previous research suggests) of pulses the subjects may have consumed less food on a whole and thus lost weight. They also help you stay fuller for a longer period of time thanks to the fact that pulses are digesting slowly. So, if you’re struggling with your diet and aren’t really big on counting calories or weighing food (which I still strongly recommend) chickpea snacks may be in order. Try and share your experience with Fitomorph. This entry was posted in Nutrition and tagged diet, weight loss. Bookmark the permalink.